The financial problems that have plagued La Liga in recent years have stretched now to one of the two biggest clubs in Spain. Today Barcelona announced that they lost more than 77 million euros last season. Sandro Rosell took over from Joan Laporta as Barcelona President and one of the first things he did was have Deloitte come in an audit the books. Laporta had declared that Barcelona had generated a profit of 11 million euros in late June, but the Deloitte audit shows a completely different financial situation. The new results show that Barca had an income of 408.9 million euros for the 2009/2010 season, but their costs amounting to 477.9m. Add in further spending of around 8million euros and you arrive at a deficit of 77.1million euros. 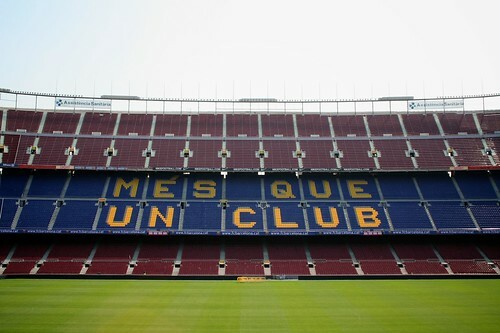 The new audit puts the club’s total net debt at 442million euros (552m gross) and Barca recently took out a loan of 155million euros after falling behind with the payment of player wages at the end of June. UEFA President Michel Platini has been very outspoken at the debts in English football and he has gone as far to create rules that will ban teams from competing in the Champions League who are losing money. It will be interesting to see whether Platini says anything about the financial problems that Barcelona is having.